Artificial Intelligence News & Resources. Symisc Systems is pleased to release the first major version of the SOD library! SOD is an embedded, modern cross-platform computer vision and machine learning software library that expose a set of APIs for deep-learning, advanced media analysis & processing including real-time, multi-class object detection and model training on embedded systems with limited computational resource and IoT devices. SOD was built to provide a common infrastructure for computer vision applications and to accelerate the use of machine perception in open source as well commercial products. Built for real world and real-time applications. State-of-the-art, CPU optimized deep-neural networks including the brand new, exclusive RealNets architecture. Patent-free, advanced computer vision algorithms. Simple, clean and easy to use API. Brings deep learning on limited computational resource, embedded systems and IoT devices. Easy interpolatable with OpenCV or any other proprietary API. Pre-trained models available for most architectures. CPU capable, RealNets model training. Production ready, cross-platform, high quality source code. SOD is dependency free, written in C, compile and run unmodified on virtually any platform & architecture with a decent C compiler. Amalgamated - All SOD source files are combined into a single C file (sod.c) for easy deployment. 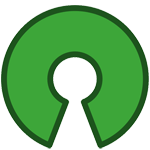 Open-source, actively developed & maintained product. The documentation works both as an API reference and a programming tutorial. It describes the internal structure of the library and guides one in creating applications with a few lines of code. Note that SOD is straightforward to learn, even for new programmer. A quick introduction to programming with the SOD Embedded C/C++ API with real-world code samples implemented in C.
This document describes each API function in details. This is the reference document you should rely on. Real world code samples on how to embed, load models and start experimenting with SOD. A blog about Machine Learning, Computer Vision, Embedded Programming & beyond.